I know, I know. 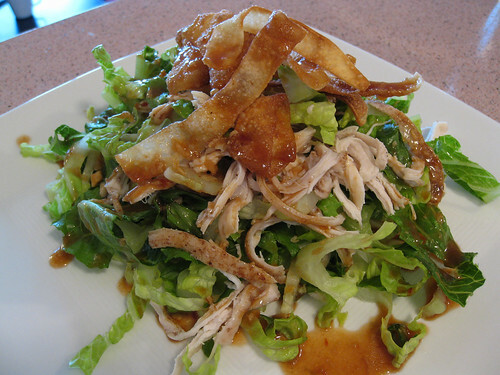 Chinese chicken salad is about as unauthentic as an ethnic dish can get. Even though it’s been done time and time again, this version that I adapted from Martin Yan’s Chinatown Cooking has become one of my favorite recipes. It’s healthy, fresh and most importantly, delicious. I usually make a double batch and store the dressing separately so that I can have leftovers the next day. Don’t be deterred by the long ingredient list; it’s actually very straightforward to make. 1. Preheat the oven to 350F degrees. Rub the chicken breasts with the salt and five-spice powder. Lay the chicken on a baking sheet and bake until cooked through, about 20 minutes. Cool the chicken on a rack until cool enough to touch, then shred the meat and set aside. 2. 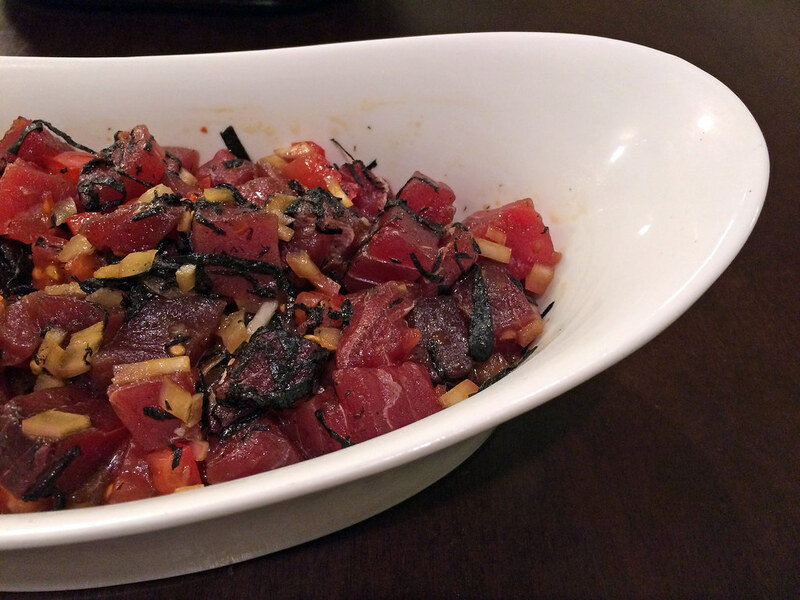 Make the dressing: Whisk the rice vinegar, honey, plum or hoisin sauce, sesame oil, mustard, soy sauce, chili garlic sauce, ginger and vegetable oil in a bowl until well blended. Set aside. 3. Pour enough vegetable oil into a wok to come to a depth of 1 inch. Heat over medium-high heat to 350F. Carefully slip a few of the wonton strips into the oil and fry until light golden brown, about 20 seconds. Remove with a slotted spoon and drain on paper towels. Repeat with the remaining strips. 4. In the same wok, deep-fry the bean thread noodles in small batches, stirring them gently to separate the strands, until they puff and expand, about 10 seconds. Remove and drain on paper towels. 5. Place the lettuce in a large salad bowl and top with the green onions. Scatter the chicken on top, pour the dressing over the salad, and toss together. Scatter the wonton strips, fried bean thread noodles, chopped peanuts, and sesame seeds over the top. Contrary to what the name suggests, this dish does not include any pasta. Instead, thin strips of zucchini are created with a mandoline and then lightly broiled to create translucent, pasta-like sheets. Mixed with tomatoes and feta cheese, result is a healthy melange of vegetables tossed in a light citric dressing. 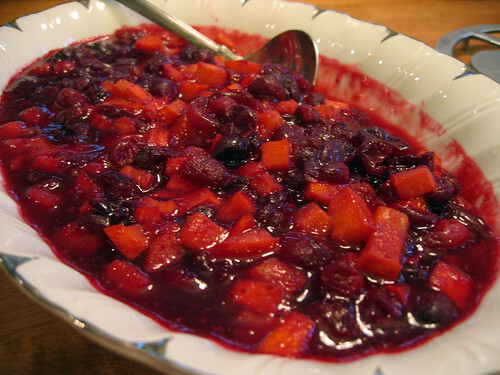 This recipe is adapted from an old issue of Food & Wine, one of my favorite food magazines. If you don’t own a mandoline, a vegetable peeler will work well to create the thin slices of zucchini. Once out of the oven, handle the slices with care so that they don’t tear. 1. Preheat the broiler. In a bowl, mix 2 tablespoons of the olive oil with the lemon juice, mustard, honey and lemon zest and season the dressing with salt and pepper. 2. Using a mandoline or vegetable peeler, slice the zucchini lengthwise into 1/8-inch-thick “pappardelle,” turning the zucchini and slicing on 4 sides only until the seeds in the central portion are reached. 3. In another bowl, combine the garlic with the thyme, rosemary, crushed red pepper and the remaining 1 tablespoon of olive oil. Spread the zucchini slices on a large rimmed baking sheet and brush them with the garlic and herb oil. Broil for about 3 minutes, or until the zucchini is browned on top. 4. Spread the tomatoes on another baking sheet and broil for about 1 minute, or until they are lightly browned on top. 5. 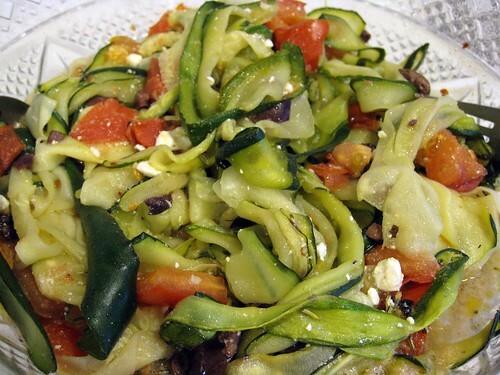 Add the tomatoes, olives and feta to the zucchini and drizzle with the mustard dressing. Toss the vegetables well and transfer to plates or a platter. Seriously, folks. It doesn’t get any easier than this. Throw a bunch of brown rice, chicken broth and shallots in a pot along with a splash of wine and a knob of butter and viola: the perfect autumn side dish. The type of rice that you use in this dish is key, though. I’ve always used Trader Joe’s Brown Rice medley because it includes daikon radish seeds and I love their texture. 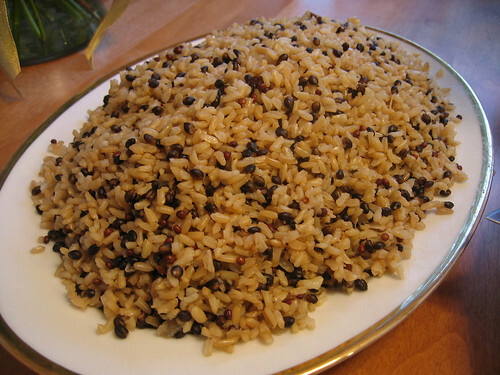 However, any brown or wild rice will do just fine. 1. In a medium saucepan, combine the rice, chicken broth, butter, wine, shallot, salt and pepper. Bring to a boil; cover. Reduce heat to low and simmer 1 hour and 15 minutes or until the rice grains have split open. 2. Remove from heat and let stand 5 minutes. Fluff with a fork and serve.